In case you're not very patient, and you don't care so much about having to restore your device from scratch, the factory images for the Android 4.3 update are already live for download directly from Google. 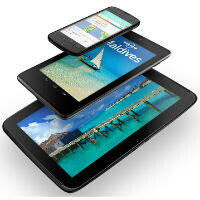 The 4.3 factory images are ready to go for the Nexus 4 and Samsung Galaxy Nexus handsets, as well as the Nexus 7 and 10 tablets. But, be warned: these are not update packages and these will wipe your data. These are the full factory images, which means that in order to install them on your device, your device will be wiped clean of data and restored to stock. On the other hand, if you're a modder, these factory images will help in getting you going on developing a custom ROM for one of the Nexus devices. 2 of those Nexuses don't have LTE. Something that would hopefully change in a couple of months. I suspect T-Mo rolling out their LTE network will help that along. I'll wait until the update gets pushed to my N7. No way in hell I'm not trying to erase everything on my tab.